Although, I had posted Elizabeth Taylor’s chart before but I guess it was with minimal Astrological Information. So, in this Article, I am covering her transformative life with regards to relationship and the Mahadasha/Antardasha which might have caused it. As we know that she has got married 8 times in her life. She married one guy twice, so she had in total 7 husbands. So, there must be something crazy in her chart which caused this mess to happen in life. 1. 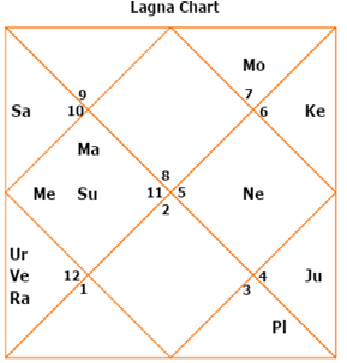 Exalted Venus conjunct Rahu asoected by Exalted Jupiter in 5th house. 5. Timing of Marriages and Divorces and Dashas. She is Scorpio Ascendant with Venus exalted in 5th house of Romance/Relations. Venus exalted means someone is looking for Perfect or Divine Love, which is impractical approach in this World. Then Rahu is conjunct Venus, so Rahu is further exploding that desire of finding that perfect love. And then Exalted Jupiter is aspecting the Venus at 5th house and further expanding that desire. One can say that why Jupiter is not giving her wisdom or one good stable relation/husband if it is exalted. Well, it is because she completed Jupiter dasha at the age of 12 years and after that Jupiter’s job was to expand the qualities of planet it is aspecting or conjunct. So, if Jupiter is aspecting Venus, then it will further expand Venus results, i.e. Relationships. Also, everything is in addition. If Jupiter is exalted then we can’t ignore the fact that Venus is also exalted and it is with Rahu. So, these were main reasons why she had such an unstable relationship life. Marriage Related Houses – Now, as we are looking for her relationship matters, we need to aware of houses related with Marriage and their lords. These are 2nd house of Family, 7th house of Marriage and 11th house of Desires. She has Sagittarius sign in 2nd house, ruled by Jupiter. She has Taurus sign in 7th house, ruled by Venus. She has Virgo sign in 11th house, ruled by Mercury. Another thing which is common for every Scorpio Ascendant is that Venus which rules their 7th house also rules their 12th house of Losses. So, it connects their Relationship with a sense of Losses. It means they end up in feeling like they wasted their time in relation and it was a complete loss. Same thing remains with Taurus Ascendant as Mars rules 7th house (Scorpio) and 12th house (Aries) both. Last but not the least, there is a concept of taking different houses for different number of marriages, like 7th house is 1st Marriage, 2nd houses (8th from 7th house) is 2nd Marriage and 9th house (8th from 2nd house) is 3rd marriage. For me, 7th house is always the house of marriage, relationship and dealing with other people. Divorce Related Houses – Likewise, we need to know the houses related with Divorce as her almost every marriage lead to divorce, except 1. So, these are 6th house of Disputes & Litigation and 10th house of Law & Order. When both are active together, it shows someone is getting into dispute and going to Law & Legal Agencies for Divorce. Some people also take 1st house in consideration but I am of the opinion that if someone is alive then 1st house is anyways active. For matters of Break-up in Love Relation, you only need activation of 6th house as there is no need to go to Court for Breaking Up. So, her 6th house of Disputes have Aries sign ruled by Mars and 10th house of Law & Order has Leo sign ruled by Sun. Saturn Factor – Now, if we see closely then her three marriages lasted for a longer time, i.e. 5th Marriage from 1964 to 1976, which includes marrying same person again after 1 year of Divorce, 6th Marriage from 1976 to 1982 and 7th marriage from 1991 to 1996. Now, all these marriages were under Mercury or Venus Dashas, natural benefic planets. So, these marriages survived little longer as a benefic planet rarely breaks things or takes away. Then what was the issue with her first 4 marriages between 1950 to 1959? Well, she was under Saturn MD and Saturn is her Darakaraka at 7 degrees. Saturn also aspects her Venus and Jupiter from 3rd house, planets of relationship. So, all Saturn was indicating to her was to delay marriage till the age of 32 at least and let Saturn MD go away. But she married 4 times during Saturn MD between the age of 18 to 27 and all relations got ended in no time. Only 1959 marriage survived for 5 years as she went through Rahu AD and Jupiter AD. As we have seen Rahu is with exalted Venus and Jupiter itself is exalted. So, 4th marriage got support of exalted benefic planet and also dasha got changed to Mercury dasha in between. 1st Marriage/Divorce – 1950/1951 – Saturn-Ketu dasha. Bound to have a separation. 2nd Marriage/Divorce –1952/1957 – She married under Venus AD and got divorce under Mars AD, as it is 6th house lord. Venus AD supported marriage for 3 years after that they might have had rough time. 3rd Marriage – 1957/58. It ended through death of her husband. Marriage under Mars AD with Mars 4th aspect on 7th house. For death, we need to check Guy’s chart. 4th Marriage/Divorce – 1959/1964. I described above that this marriage got support of Rahu/Jupiter ADs. In her chart I can’t see any reason for divorce in 1964, except the fact that she was still under 32 years of age and Saturn was yet to mature. 5th & 6th Marriage/Divorce – 1964/1976 – This was the case of marrying same guy again. Mercury MD supported marriage. Also, she attained Saturn’s maturity age. In 1976, she was under Jupiter AD. So, this divorce was more transit based as Saturn was in Cancer in 1976 and Jupiter was in Aries during majority of time in 1976. So, Saturn pressurised her Jupiter and Jupiter was transiting her 6th house of Disputes in Aries. If we get the exact date of Divorce and Guy’s chart too, then we can be more precise. But at least we can see here that there was some stress and disputes due to Saturn/Jupiter transits. Also, Rahu was in Libra at that time. Whenever Rahu is in Libra in Birth Chart or in Transit, person seeks perfection in relation, which again doesn’t help. 7th Marriage/Divorce – 1976/1982 – Marriage under Mercury MD and Divorce under Ketu MD as Ketu represents Separation. It’s easy to understand. 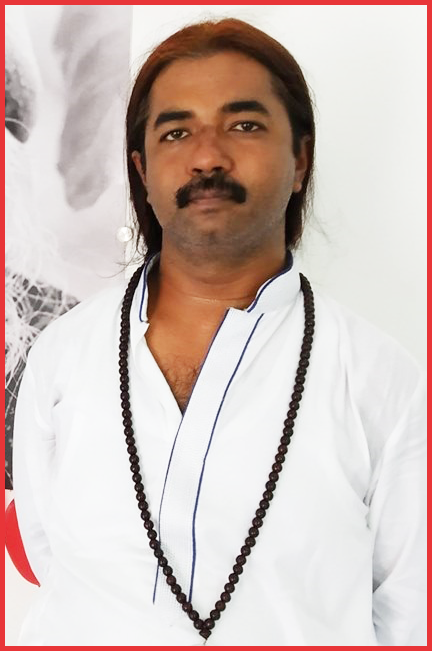 Conclusion – Finally, we can say that its all about dashas of planet, whether planet is benefic or malefic and which houses it is activating. This is the way she had such a transformative life in relations. Again, there is good and bad aspect of everything. If Rahu-Venus gave her rough time in relations and show her past-life karma towards her partners which she paid off in this life, then same Rahu-Venus are giving her amazing beauty and worldwide fame through Creative Arts and Movies from early childhood. Hence, Everything is in Addition. @ may - it doesnt mean that Jupiter will stop anything, it is just that now Jupiter will be in background and Saturn will run the show. Jupiter can expand the ego and also your ability to deal with occult matters. I have jupiter conjunct sun in 2nd house (not combust). Jupiter also aspects saturn in 8th house. My jupiter mahadasha was over. So jupiter will stop giving me wisdom and good husband? What is the effect of jupiter expanding the qualities of sun and saturn it was conjunct with or aspecting? Does it mean ego and troubles? Thanks. Thanks GurMehr :). If I can learn it then anyone can learn. So beautifully summed up! There is so much clarity in your posts that provokes me quite so often to learn astrology. Best wishes as always.